As a meeting planner, do you put much thought into the generational demographics of your attendees and how that factors into your meeting? Understanding demographics is a valuable tool in increasing the ROI, engagement and overall success of your event. 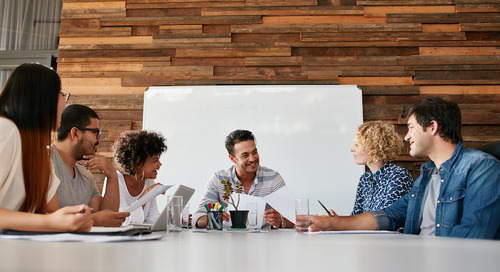 With the potential of having four different generations coming together, meeting planners must recognize the differences (and similarities) between generational groups to design an effective meeting. Continuing our quarterly series featuring a different generation, highlighting how each group differs and offering tips and tricks, we will focus on Generation X this quarter. GENERATION X: Who are they? Generation Z and Millennials seem to generate the most buzz these days. What about Generation Xers, the ones who are often forgotten due to their position between two impactful generations (Baby Boomers and Millennials)? With over 80 million Baby Boomers and over 80 million Millennials, Generation X—born between 1965 and 1980—is often overlooked with only 65 million members. But forgetting to consider this “sandwiched” generation in your meeting plans is a mistake! While Baby Boomers are looking to retire and Millennials/Gen Zers are focused on their career goals, Generation X just might be driving your business and making an impact on your industry. As the generation of latchkey kids, Gen Xers are fiercely independent and self-sufficient. Having grown up with TV, radio and the first personal computers, they were exposed to breaking news stories and learned to question what they were being told. They understand work-life balance, with most having parents who both worked. Gen Xers have an entrepreneurial spirit, craving new challenges and the opportunity to build new skills, all while understanding the value in spending time with their families. Focus on providing value, learned skills and networking during your event. Because of their skeptical nature, Generation X attendees will question why they should attend if there is not educational value. Make sure your event stands out and is memorable. Generation Xers are looking for something different, whether that be the content, location, agenda or presentation style of your event. Out of all generations, this group has likely attended the most conferences. Create a unique plan that doesn’t blur into their previously attended events. Provide real content instead of aiming for perfection. Generation X connects to honesty and messages with meaning. Their exposure to reality at a young age has carried into their content preferences. Make sure technology has a place in your events. Like Millennials and Gen Zers, Gen Xers use technology every day and expect it to be part of your event. Don’t forget work-life balance—provide some opportunities for fun and experiences. This group works to live versus living to work. Sprinkle some humor, games, activities or a memorable experience into the agenda.